On Election Day in the United States, citizens head to the polls to decide who will lead the country using one of the most powerful forms of expression: voting. During this unprecedented presidential election, we are reminded both of the duties and freedoms we enjoy as Americans. The ability to express one’s views, thoughts and choices through a vote is a freedom worth valuing and celebrating. Capturing this freedom requires another powerful form of expression: art. 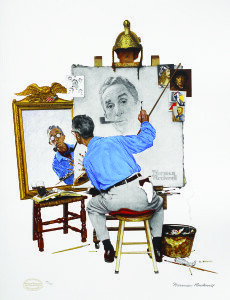 When it comes to representing the American spirit, the quintessential artist is Norman Rockwell. 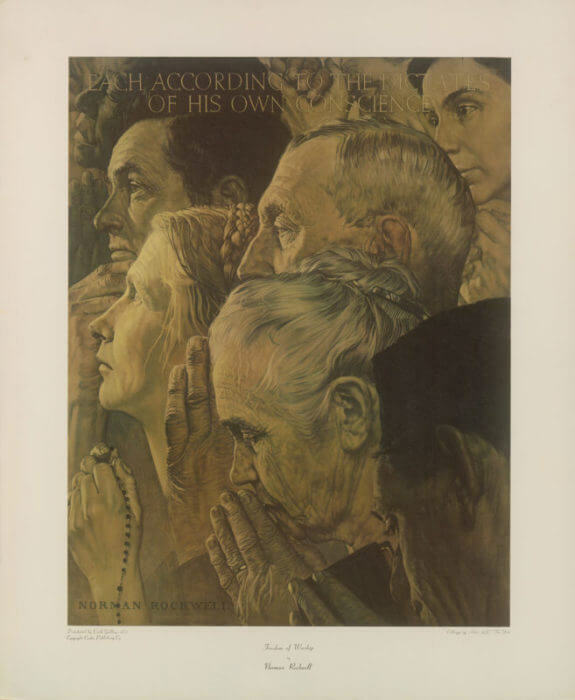 The freedom to vote, among the other ideals treasured in the U.S., are just as relevant today as they were when Rockwell was commissioned in 1943 to create the “Four Freedoms” series, inspired by Roosevelt’s speech of the same name. As a reminder not only to vote, but what a vote helps preserve, observe and ponder the Four Freedoms. 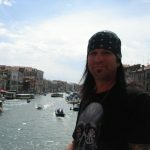 The freedom of speech is undoubtedly one of the most well-known right coveted by Americans. 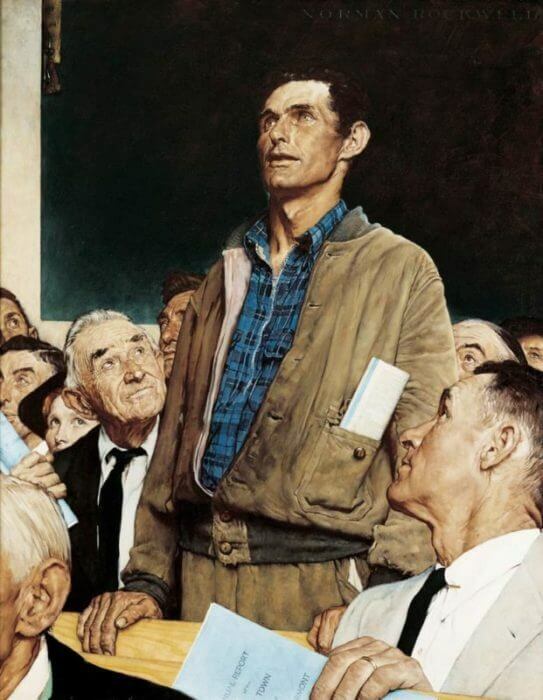 Rockwell portrays this ideal with a man casually dressed standing and speaking at what appears to be a town hall meeting. Others around him – regardless of age, gender or social class – listen intently. This iconic image of a multi-generational family about to enjoy a turkey dinner evokes thoughts of Thanksgiving meals. 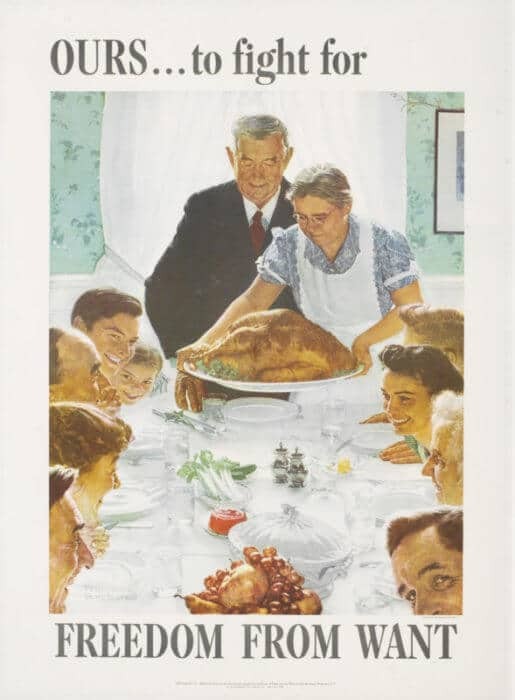 Although the artwork depicts an ordinary holiday gathering, the imagery was especially potent during a time of war, portraying the ideal of having a healthy, peaceful life for a nation’s inhabitants. 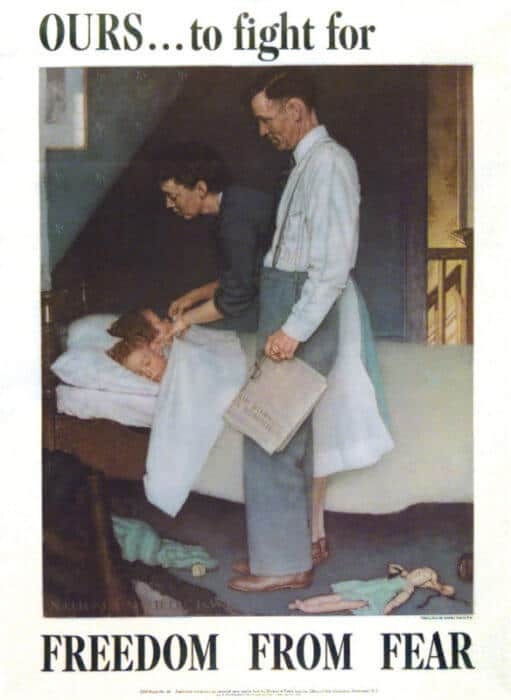 When addressing criticisms that these works did not show the ugly side of American life – misery, social injustice and poverty – Rockwell simply said, “I paint life as I would like it to be.” Keep these words and ideals in mind when heading to the polls. 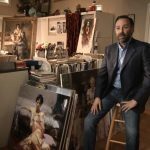 For collectors interested in Rockwell art, view our online collection or speak to our gallery consultants.